First is a picture showing Ladogan posterboy Alexandr Lebed, his parents and siblings. His brothers and sister look a bit more "Nordish" than he does (his sister looks East Baltic), but he was blond as a little boy. His father was Ukrainian and his mother was Russian, they look totally Europid and nothing mongoloid about them. In the second picture is Alexandr Lebed, his wife Inna and their children. The children all seem "Nordish" (although the youngest is too young to classify at all). His wife might have some distant mongoloid ancestry. 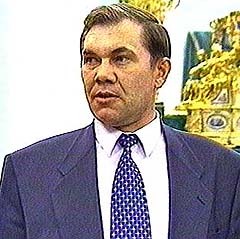 Third, a picture showing Alexandr Lebed's very protruding browridges, sloping forehead and snub nose in profile. Fourth, a picture of Inna Lebed. Fifth, young Alexandr as a fairhaired youth. There were some interesting phenotypic and genetic combinations going on there. Some Ladogans can and do have 'the right stuff' for continuing the Nordish race. Reduced East-Baltid with Siberian/Mongoloid and/or Turanid influences. Very unprogressive. Unprogressive, but rather common in his natural habitat. Should we consider Nyamko Sabuni (not only a person with Swedish passport but a minister of Swedish goverment) - Swedish??? So what? He was born in Novocherkassk, Russia. Russian was his mother tongue. 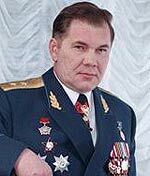 He was a Russian army officer and could have become president of the Russian Federation. "Russian" is not an ethnic concept. Should we consider Nyamko Sabuni (not only a person with Swedish passport but a minister of Swedish goverment) - Swedish?? She is not Swedish, but she has Swedish citizenship. "Swedish" is a Germanic, ethnic-national term, "Russian" - like "American" or "Canadian" - is not. Ethnic Ukrainian? I suppose he could be East-Alpinid + something exotic or not. All ingredients whisped together with the ugly stick. Sorry, but the comparison is ridiculous. Russia and the Ukraine are related to each other like Germany and Austria, i.e. as two countries sharing basically one and the same ethnicity - quite unlike Sweden and Subsaharan Africa. Last edited by Pervitinist; Thursday, January 25th, 2007 at 11:21 PM. Basically East Baltid. Perhaps minor Gorid. Very robust.